Sandling Industrial Services is an industrial equipment and services provider that is dedicated to helping companies just like yours receive the mechanical dewatering equipment and services they need to properly run their business. It is our duty to provide comprehensive solutions for water and wastewater treatment facilities and contractors through our volume reduction, sludge dewatering, filtration, and produced waste management services. Mechanical dewatering is a very diverse business, which means it is rare for dewatering equipment applications to function in a similar way from company to company. 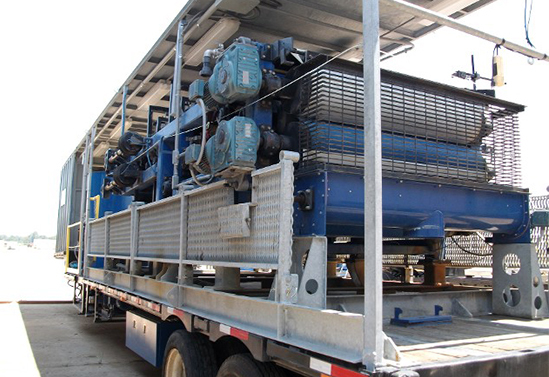 The team at our mechanical dewatering equipment company has more than 150 years combined experience necessary to properly handle and process just about any type of waste stream you might be generating. We look forward to helping you solve your waste stream issues with our mechanical dewatering equipment. Failure isn’t an option when it comes to figuring out how to handle your waste streams. For over three decades, John Sandling and his team have been building our company upon a foundation of excellence. Your complete satisfaction is always our top priority. That is why our team always stays on the same page with each other as well as with your business. This cohesiveness helps us solve any issues you might have and ensures an impressive safety record. Our current Experience Modification Rate (EMR) is .70. Contact us Nationwide, when you are looking for the finest in sludge handling and water treatment equipment for your industrial business. Our team is proud to provide complete rental, repair, and maintenance services to customers throughout the entire United States.